Renew Health Coaching: They're just kids, right? Since starting our healthy lifestyle, I have had quite a few emails asking how I am able to eat healthy & still make meals for my daughter. They were assuming that we allow Aubrey to eat "like a kid"...because what child is going to eat healthy foods? 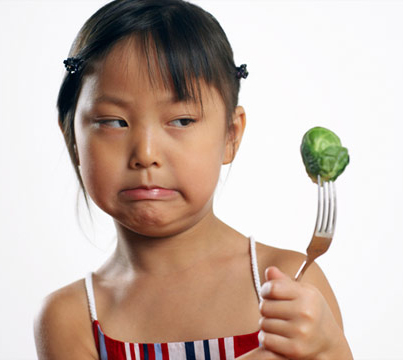 We, as parents have it tough when it comes to getting our children to eat healthy foods. If it's not the enticing commercials that make unhealthy foods look like cartoons, it's the colors and shapes of the food, the location of the products on the grocery store shelf which is right at their eye level. It hits us from every angle. Even toys in the cereal boxes and happy meals. As parents we have to fight for our family to be healthy. I wanted to examine exactly what "kid food" is and what kind of nutritional values are in those foods. Get ready to be surprised. Anything in red is nearly 50% or more of a child's daily nutrient needs depending on the age of the child. None of this looks incredibly bad if you are unfamiliar with the nutritional needs of children. 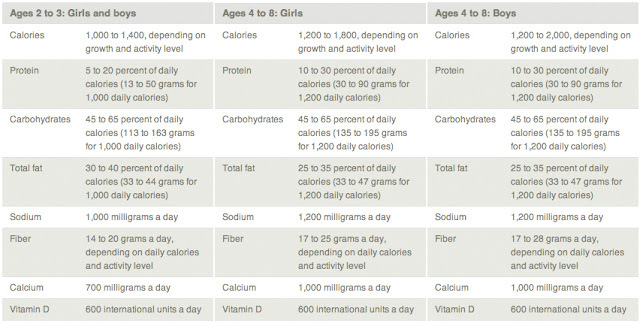 So to put this in prospective, take a look at the nutritional needs for your children recommended by Mayo Clinic. How do the above foods fit into your child's nutrition? These foods are considered "empty calories." They are foods that do not provide nutritional support for your child's immune system, their heart health or prevention of diabetes or heart disease. These foods feed illness. There is still hope to turn around childhood obesity and the health of your family. Over the next week I will be posting kid-friendly recipes full of macronutrients, foods kids enjoy & foods that will point your family in a healthy direction! Stop by and test out some of our recipes! !